Taylor Swift’s 1989 has sold a staggering amount of copies since it’s release last year, well over 6 million, and in an industry where you need to sell about 3 hard copy albums to qualify for a gold record, that is no mean feat. The album, in my humble opinion, is a complete masterclass on how to make a pop record, especially one that doesn’t alienate everyone over the age of 18. I’m not what I’m sure Taylor Swift’s record company considers to be her ‘core demographic’ but I still own the album, and have tickets to see her in Melbourne in December. I don’t want to be that person, but I’ve been a Taylor Swift fan long before the red microphone, short shorts and ‘girl squad’ (and that’s a topic for another day). The one and only time I’ve ever seen Taylor Swift live, it was at Billboard, a small nightclub/concert venue with a capacity of just under 1000 people, in Melbourne. Taylor Swift was a country music artist, and this was a country music show. I’m talking cattle-tags-on-akubras, and RM Williams shirts kind of country music show. Fearless has just been released to little fanfare, and ‘Love Story’ had made a splash on CMA and was starting to get some mainstream radio play. Her hair was long and curly, she wore cowboy boots and played a bedazzled acoustic guitar which now resides in the Country Music Hall of Fame Museum in Nashville, TN. I’m a country music fan, so it made perfect sense for me to be there. I loved her first two albums, but I didn’t love the pop transition that followed. Throughout her career, there is one thing that even as someone who felt like I was ‘ageing out’ of her music can never deny – she writes a hell of a song. And there’s nothing I love more than good song writers, and as far as they go, I happen to think there are few better than Ryan Adams. My love of Ryan goes back more than a decade which is also a topic for another day. Did I ever expect that I would be thinking about these two artists involved together this way? Not in a million years. The PR person in me says that covering an album as successful as 1989 is a shrewd move by Mr Adams. As if that wouldn’t get attention? My brother once described Ryan Adams as the most mainstream underground artist in the world. He’s that guy that everyone has heard of, but many have probably never heard, yet none the less have an opinion on him. In a nutshell, he’s a punk rock/alt country brat that made his career by being one of the most prolific artists of his generation, and creating the kind of music that his fans feel deeply connected to. l love that this cover album has probably opened the door to Ryan’s music to a lot of people who ordinarily would never listen to him. 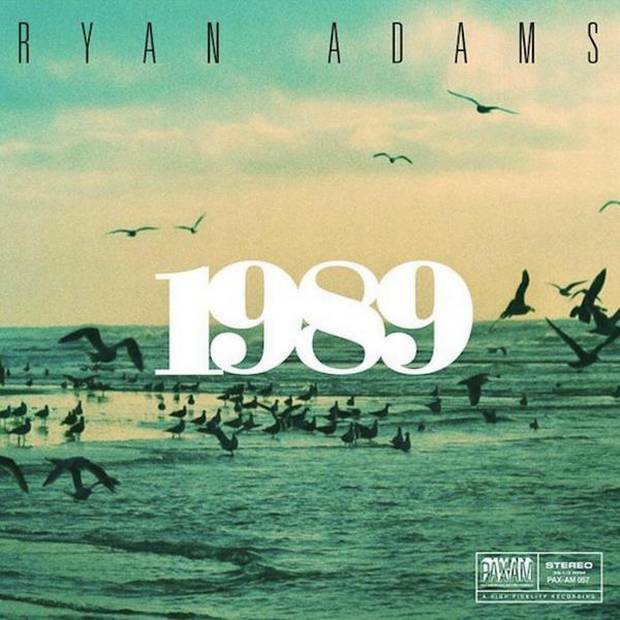 If you haven’t heard it, Ryan Adams set out to reimagine 1989 in a style that is somewhere between Bruce Springsteen circa 1978 and The Smiths and this is exactly what he achieved. It’s on Spotify, so you can check it out any time, for nothing, if only out of curiosity. What I really meant to say with my flippant comment about this album is that Ryan’s version pays tribute to what an incredible song writer Taylor Swift really is. The depth and quality is hard to appreciate in the original, because it feels as if they’re buried beneath the over production of the record (a hallmark of every pop album ever). 1989 in it’s original state gives those songs no room to breathe and puts a giant wall up between them and their audience. I don’t know, maybe as a teenage girl I would have felt more connected to music in that form, but then again, I fell in love with Ryan Adams music at 16. I can’t imagine that there is any higher compliment as a songwriter than to have someone as highly respected as Ryan pay such delicate and careful homage to what many people are regarding as your best work to date. 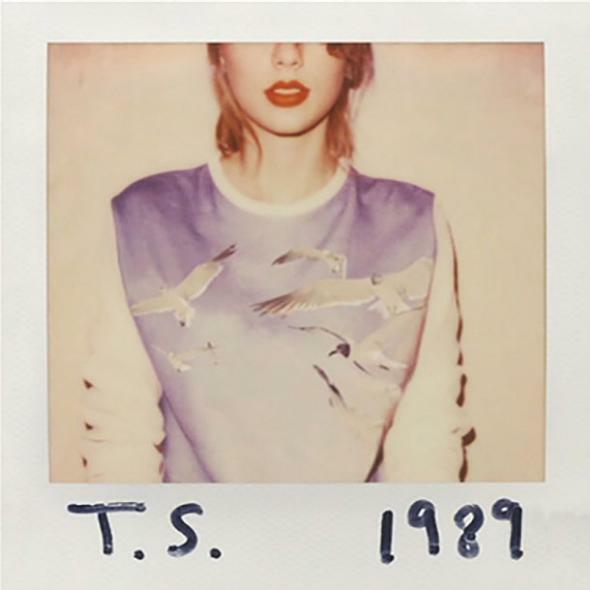 Taylor is a Ryan Adams fan from way back, so no doubt, she gets it. Start with Heartbreaker, his critically acclaimed debut solo album, and I dare you not to shed a single tear in “Oh My Sweet Carolina”. I’ve seen it live many times, and it still never fails to move me. Next dive into Love is Hell which I believe to be his best work, especially if you love a good cover because 12 years ago, Ryan did for Wonderwall by Oasis what he just did to 1989 – took good music and made it soul shatteringly brilliant. His version is best described as ‘haunting’. You should then move onto Cold Roses, the 2005 double LP with The Cardinals, for a prime example of some of Ryan’s best work with a band. Jump ahead to Ten Songs from Carnegie Hall because a solo live performance from Ryan is like nothing else. Then finish with last years self titled offering to bookend the journey. Once you’ve dipped your toe in the ocean of music he has produced throughout his career, I hope you dive in and allow yourself to become swept away with it, as I did so many years ago. Ryan Adams is more than a cover artist, he’s one of the greats.